January 24, 2019, 8:00 p.m. 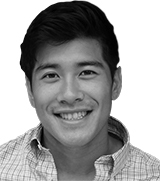 Living in the digital age is not without its pitfalls, not least cyber attacks. However, new YouGov Omnibus data finds that a large number of Americans are not taking precautions to protect their personal data. The research shows that over one in five (22%) 18-34-year-olds do not use any form of computer protection services to safeguard their devices from cyber attacks. 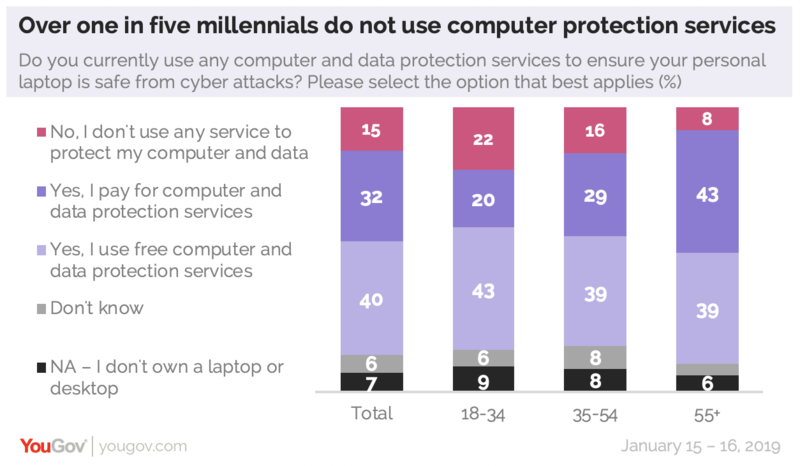 Notably, millennials are significantly more likely than older generations to not use any preventative measures to protect their computer and data (22% vs. 16% of 35-54-year-olds and 8% of those aged 55 and older). YouGov’s research finds that majorities in each age group – and 72% overall – use some form of computer protection, whether it be a free service or one they pay for. As well as being the most likely to have computer protection, Americans aged 55 and older are also the most likely to pay for cyber security (43% vs. 29% of 35-54-year-olds and 20% of 18-34-year-olds). Installing antivirus software is just one step security experts recommend towards cyber security. Another simple measure is to cover up webcams on all personal computers – something that a plurality (43%) of Americans report they do not do. 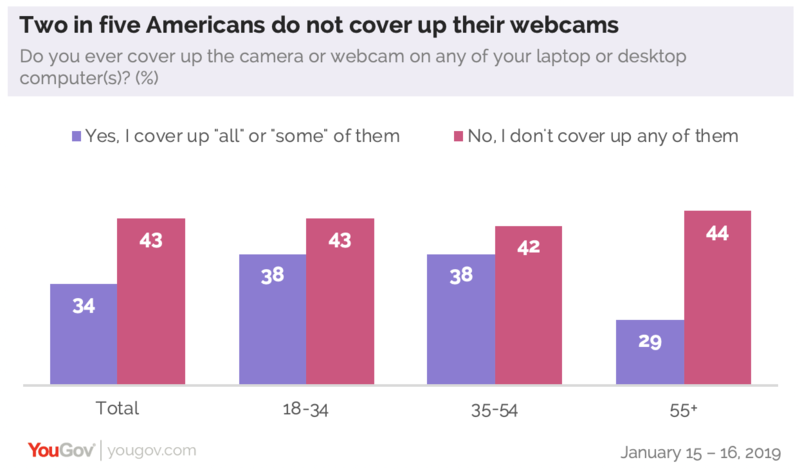 While 38% of 18-34-year-olds and 35-54-year-olds cover up at least some of their webcams, this falls to just 29% of those aged 55 and older. The survey also asks after perceived vulnerability in today’s digital world and millennials are the age group least likely to believe that their data and personal information is vulnerable to hackers. While two-thirds (66%) of 18-34 year-olds feel their personal information is “very” or “somewhat” vulnerable to a cyberattack, the proportion rises to 72% among 35-54-year-olds and 76% of those aged 55+. This perceived vulnerability in 2019 – where 72% of Americans believe they are vulnerable to hackers – stays consistent with how vulnerable Americans felt (73%) in a similar study conducted last year.